Jiaogulan has been in use in Asia for centuries as a refreshing and health promoting herbal tea. Jiaogulan assists the body to achieve homeostasis (constant internal balance). 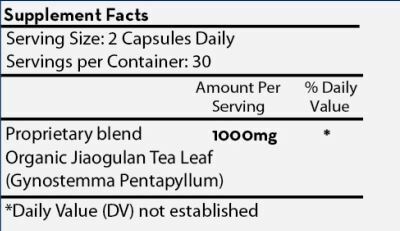 RegenaLife's Jiaogulan Tea is grown organically according to Thailand's rigorous certification standards, ensuring no harmful synthetic chemicals or pesticides are used during the growing, harvesting, storing and shipping processes. Ingredients: Organic Jiaogulan (Gynostemma Pentaphyllum) tea leaves.